Transit City condos is a new condominium project by the CentreCourt of residential towers of 55-storeys each is coming in spring 2017 in the City of Vaughan. Transit City Condos is one of the fastest selling new projects of the year. Tower 1 and 2 have sold out in a couple of weeks. Do not miss an opportunity to purchase in Tower 3 East Tower . Register below to register and receive more information and book your 1 to 1 appointment. 100 acre master plan of many towers - Transit City Condos is the first and will consist of a 55 Storey Condominium with approximately 553 Suites. 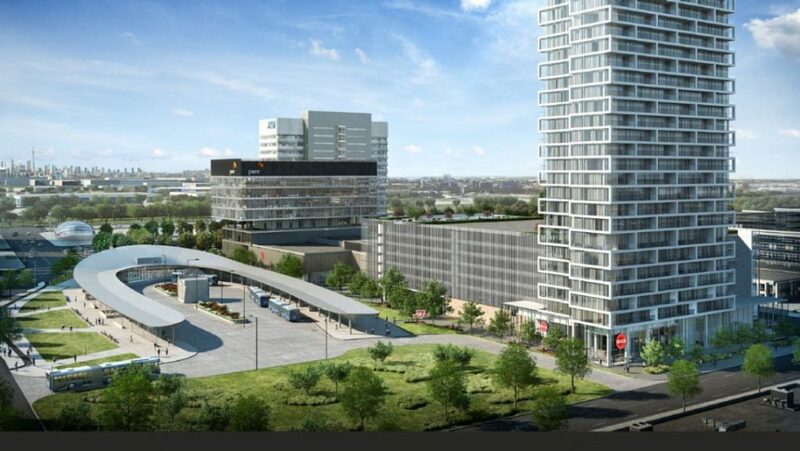 It will be located at the heart of the Vaughan Metropolitan Centre near the new VMC Subway Station. Now you can join newest flagship 100,000 sq. ft. YMCA, which includes a new library with quiet study spaces and a full community centre. There will also be a basketball court, swimming pools, child care space, 3 yoga studios, weights room and much more. Transit City Condos is a best-in-class designed building in a growing area of the GTA with the benefits of proximity to major transit infrastructure, key amenities of Shopping , highways 400 and 407. Sales for these condos will launch by early June. Most will be in the 500 to 1,000 sq ft range. Construction to begin later this year or in early 2018 and tentative occupancy for 2020. The Transit City Condos are a part of the Smart Centres Community. By Registering on our site you will receive the prices, floor plans and brochures for the Transit City Condominiums as they are released by Centre Court Developments. From 500 sq. ft. To 1000 sq. ft.